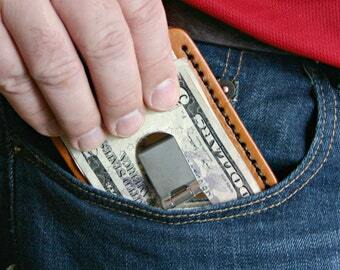 Keep your cash easily accessible in the money clip with this leather wallet. 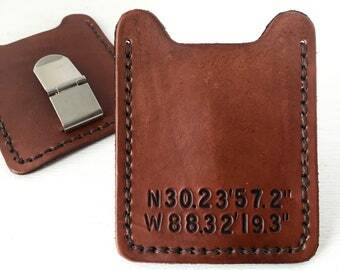 It will hold 5-7 credit cards and drivers license. 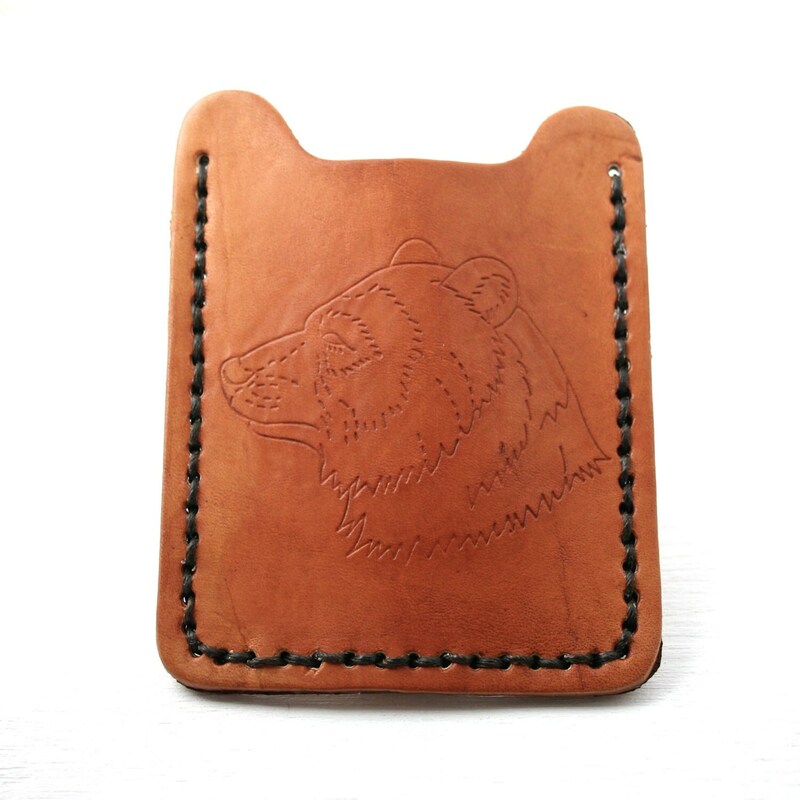 This leather card holder has been stamped with this bear outline.